THE whizz kid we featured last week in H-Metro seeking financial help to further his studies yesterday received a shot in the arm, after Natural Stone Export Company (Pvt) Ltd offered him a full scholarship. 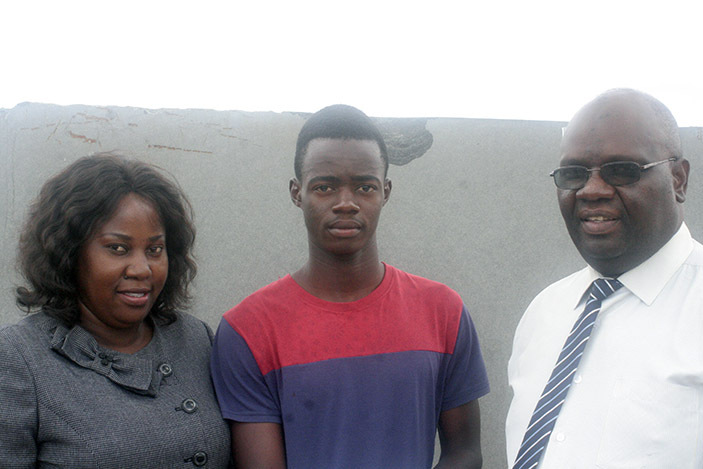 As reported last week, Hilary Mutyiri, 20, who did his Advanced level at Kambarami High school in Murewa, attained 20 points in in Mathematics, Accounting, Economics and Business Studies but had no funds to further his studies. He is looking forward to learning at the University of Zimbabwe to study Actuarial Science. Upon seeing his plight, Natural Stone Export Company through their human resource manager Dr Edward Muvuro offered to support him. “We read H-Metro on daily basis and when we see cases like these that need assistance especially from our operating areas of Mashonaland East and Central we make it an effort to come in and help. “So we saw his article on Friday and we saw that the boy is actually a genius and he needs assistance from us. “I can say this is part of our corporate and socio-responsibility and a way of giving back to the community,” he said. “We saw it worthy to invest in this young talent and it is also part of our obligation. “Helping these young ones means tomorrow they will help that same constituency. You never know they might come and work for us. “We felt duty bound to assist him, we don’t have conditions. If he finishes his program he is free to work wherever he wants. “The company is going to pay his tuition fees and accommodation,” he said. The company said they are going to first pay for the arrears in order for him to collect his Ordinary level certificates so that he get admission at the university since it is also a requirement. “We are going to make sure he gets his certificate in time so he will just go at the school and get the full details and come back to us. “We are going to asses all his necessary needs and make sure we provide them,” said Muzvidziwa. In 2017 the company handed another scholarship to one Isau Garwe a former Kambarami High School student who had attained 18 points after he was also featured in H-Metro. Garwe was self-sponsoring himself throughout his high school through vending. Currently he is in his third year and is set to go on industrial attachment. “We also have another girl by the name Traines Mazhowe. We took her together with her other siblings since they are orphans. Mutyiri was out of words and could not hide his joy seeing his first steps to achieving his dreams coming true. He promised to work hard. “I’m so grateful with this opportunity. It’s a great favour that I’m appreciating. “I really hope and believe that I will use this opportunity well to study hard and succeed in everything that I will be doing as a way of thanking my benefactors,” he said.